CA Apartaments dúplex s'Estanyol de Migjorn in Llucmajor is an apartment building. 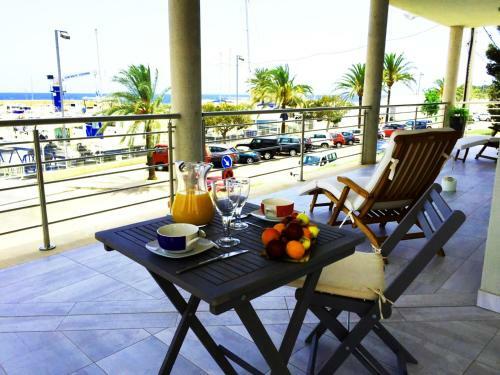 Located just in front of the Club Nautic S'Estanyol, in southern Mallorca, Apartamentos Dúplex S’Estanyol de Migjorn offers apartments with sea views. Free WiFi is provided, and freeparking is available nearby. Each air-conditioned apartment features a satellite TV and a full kitchen equipped with a dishwasher and a microwave. The bathroom includes a hairdryer; and bed linen and towels are provided. Plenty of dining options, as well as shops and supermarkets, are in the surrounding streets. Apar...tments are 2 minutes’ walk from S’Estalella Cove Beach. Sa Rapita Beach and Ses Covetes are 5 minutes' drive away, or a 25-minute walk. The emblematic Es Trenc Beach is 6 minutes' drive from the apartments. Palma de Mallorca Airport is 35 km away. Located just in front of the Club Nautic S'Estanyol, in southern Mallorca, Apartamentos Dúplex S’Estanyol de Migjorn offers apartments with sea views.... Free WiFi is provided, and freeparking is available nearby. Each air-conditioned apartment features a satellite TV and a full kitchen equipped with a dishwasher and a microwave. The bathroom includes a hairdryer; and bed linen and towels are provided. Plenty of dining options, as well as shops and supermarkets, are in the surrounding streets. 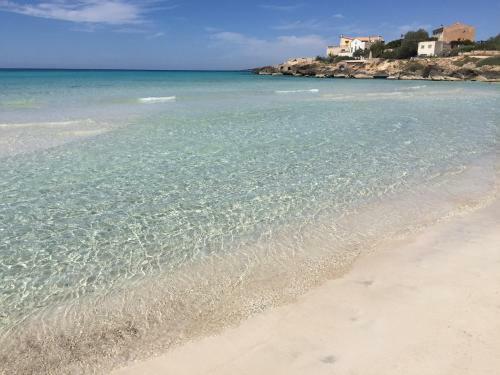 Apartments are 2 minutes’ walk from S’Estalella Cove Beach. Sa Rapita Beach and Ses Covetes are 5 minutes' drive away, or a 25-minute walk. The emblematic Es Trenc Beach is 6 minutes' drive from the apartments. Palma de Mallorca Airport is 35 km away. When would you like to stay at CA Apartaments dúplex s'Estanyol de Migjorn? This property will not accommodate hen, stag or similar parties. Please inform CA Apartaments dúplex s'Estanyol de Migjorn in advance of your expected arrival time. You can use the Special Requests box when booking, or contact the property directly with the contact details provided in your confirmation. A damage deposit of EUR 300 is required on arrival. This will be collected as a cash payment. You should be reimbursed on check-out. Your deposit will be refunded in full in cash, subject to an inspection of the property. Please note that late check-in from 23:00 to 07:00 carries a EUR 45 surcharge.